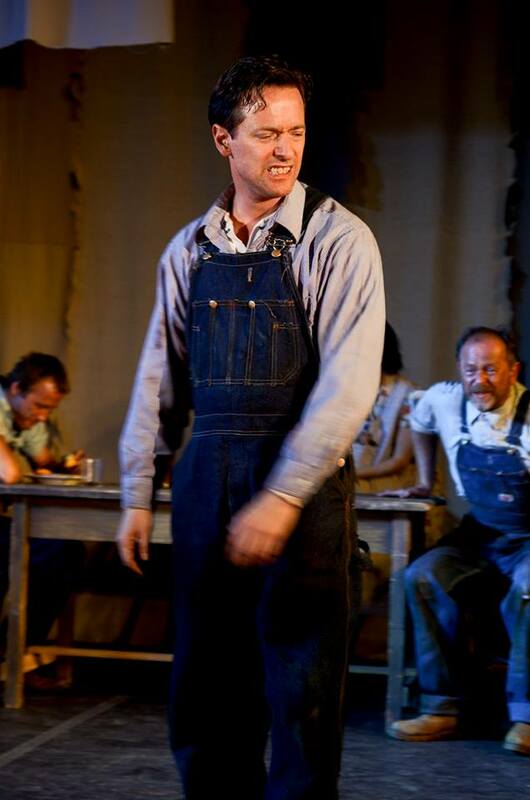 7pm, New World Home Cooking, Saugerties, NY, more info: 845 679 0154 – info@voicetheatre.org https://voicetheatre.org/spring-reading-series-2017/ On the verge of TV stardom, comic Mickey Dobbs meets actress and activist Natalie Meltzer, and their romance blossoms–as does the risk that they’ll be blacklisted for their political activities. In the face of the House Un-American Activity Committee, the right to free speech and expression is challenged. Oh those frisky immigrants. Thanks to all and everyone in Voice Theatre who have created our shows and those who have been in our audiences. Happy Thanksgiving … Enjoy your gratitude. Thanks to the Hudson Valley Foundation for Youth Health for their Support. We look forward to realizing the Home Project with them and students in Ulster County. Walter Bost passed away last night. Cast member of Seasons Greetings Rest in peace Walter, rest in peace. If you are close to BAM try and see Peter Brook’s production Battlefield last show today. 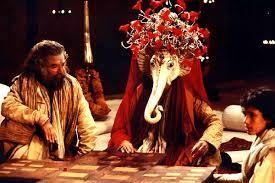 Might be the last chance to see one of the most brilliant directors of our time. Truth, beauty and deeply human isn’t it why we go for 1,000 of years to this place called theatre. From October 10th-18th his films are being screened and as some of you know our most wonderful Robert Lloyd is in 4 of them. 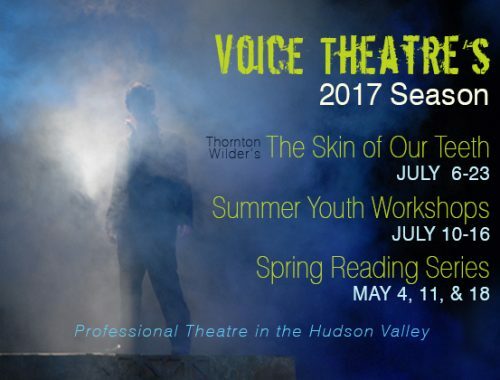 The Blissful summer of Hay Fever, Voice Theatre’s first site-specific production in Woodstock. Joris Stuyck and Audrey Rapoport about to kiss. 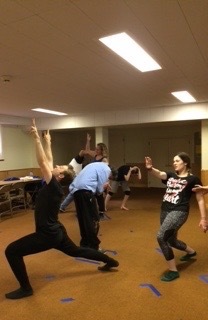 The Adult Acting Class has three spaces left, anyone interested? 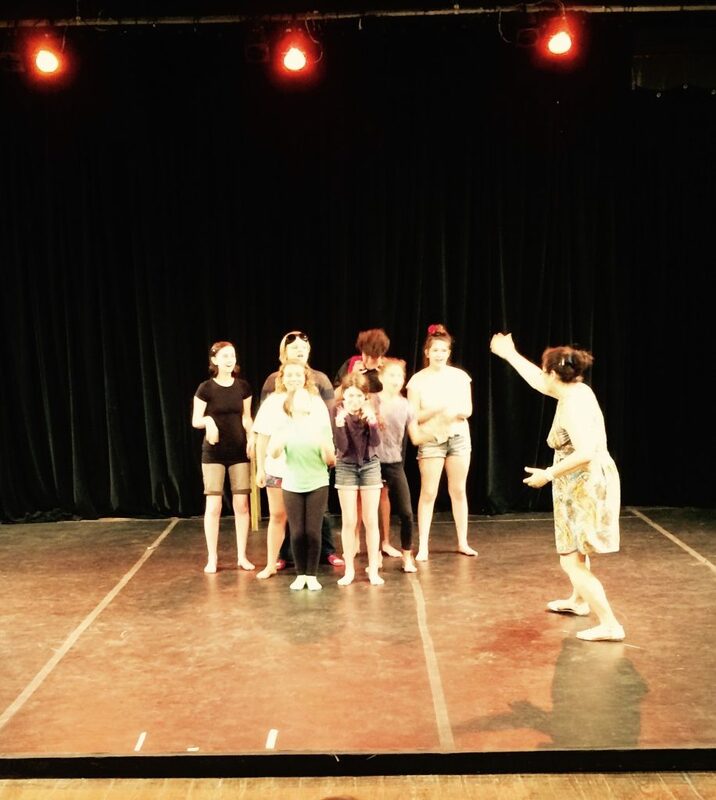 Class starts Monday night 6-9pm October 3rd and will culminate with exciting performances: a Monologue Improv Slam at the renovated Colony and Belonging and Bullying a project based on the writing of refugee children exploring their definition of “home”. — It’s going to be exciting fun and important! 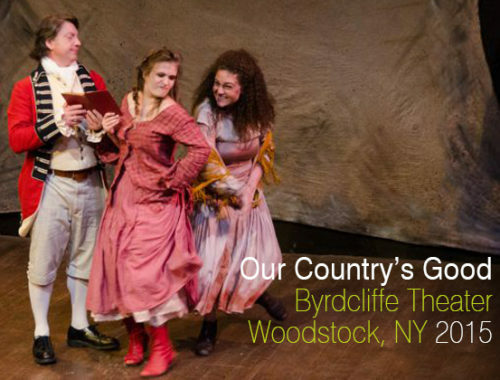 A look back at Voice Theatre’s 2015 production of Our Country’s Good at the Byrdcliffe Theater.